Dèesse Magazine: Top Reasons I LOVE Spring !!!!!! Top Reasons I LOVE Spring !!!!!! Sultra Beauty Sophisticate Power Dryer dries your hair in lightening SPEED literally!!! I can speak for myself, and I have a lot of hair, and I was able to dry my hair in under 15 minutes!!! That is AMAZZZING! Also these dryers are fabulous ! If they're NYFW -worthy to be used backstage at numerous shows they're more than worthy to be added to your beauty bank at home!!!! 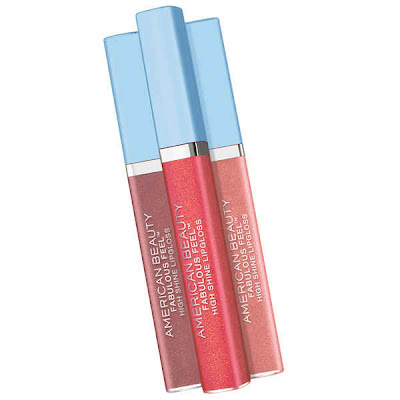 American Beauty Fabulous Feel High Shine Lipgloss (Available May 2010 - Exclusively at Kohls) is another reason to pucker up! Everyone loves a nice glossy lip !!!!! Flirt! itCurl Lash Curling Mascara is on my daily to-do list! It has a patent-pending CAT Brush Applicator that guarantees 144% more curl and lift than the average mascara applicators. There is no need for false lashes when using this mascara. Flirt! 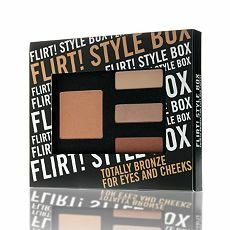 Cosmetics Totally Bronze For Eyes and Cheeks is great to warm up your look for spring. 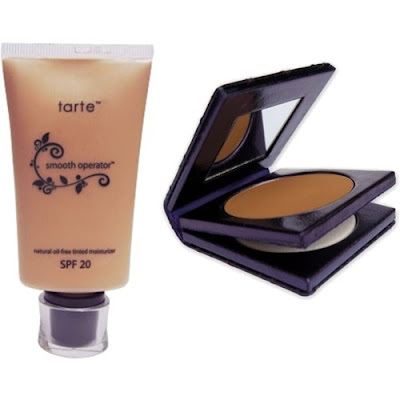 Say goodbye to pale winter skin, and hello to bronze beautiful and fabulous!!! This great set was just released this month , so you better get it while its HOT !!! 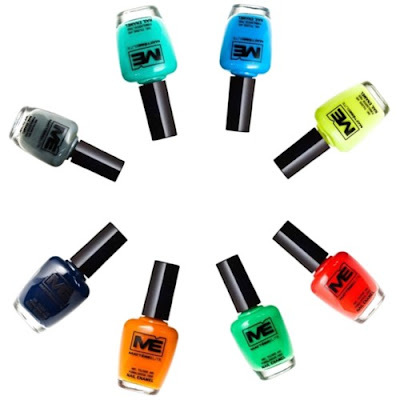 Mattese Elite Nail Polish has some of the most daring , and attention-grabbing shades ! I especially love the following shades : Lime Ricky, Neon Caution, Neon Flash .. just to name a few. They're only 5.99 each!! Which in these times where we like to get a good deal wherever we can. Definitely an absolute STEAL !!!! Essie Spring 2010 Collection is an absolute favorite!!!! With hues named after artist and trends ( i.e. van d'go , pop art pink, tart deco - I LOVE that color on!) , this is a MUST-Have for spring! 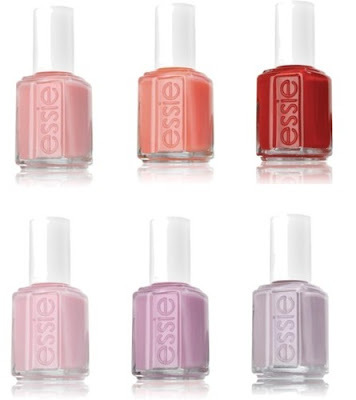 Essie always takes it up a notch with every season!!!! Waiting to see what Summer 2010 will have in store ! I just LOVE Dashing Diva Design Nails on the Go.... in Gold , Silver and Red Chrome ! They're a great alternative to the ultra popular MINX (which I also love) , and at the fraction of the cost, you can change your nails as much as you apply lipgloss!!!!! The difference is that these are actual press on nails, so you might feel a bit more security with these as were the MINX are just nail coverings applied to the nails.. Either way, these are a SPRING MUST Have !!! I love that Tarte Cosmetics added new shade extensions to Smooth Operator natural oil-free tinted moisturizer with SPF 20 , and Provocateur Powder natural mineral based press powder with SPF 8. Great for us darker skinned beauties!!! Now that it's officially Spring, the SPF factor is very very important !!! 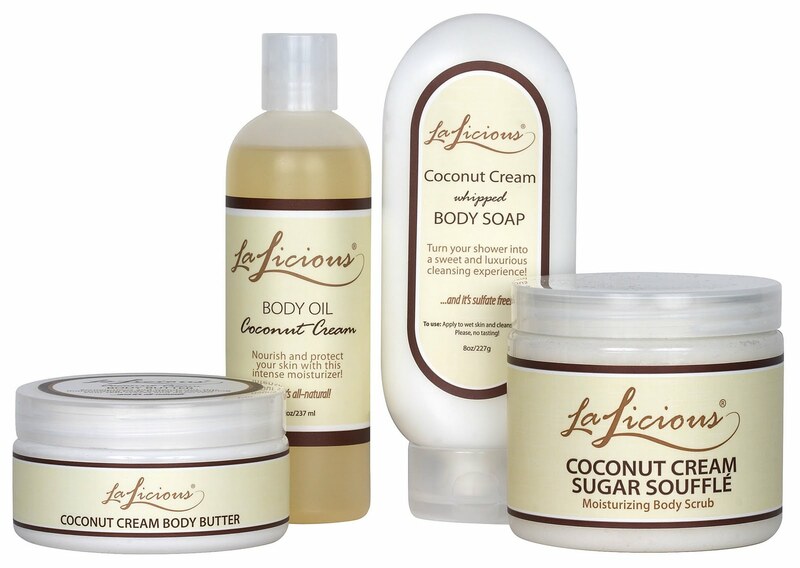 LaLicious Coconut Cream Collection - from the Sugar Souffle , Body Butter , Body Oil, and Body Soap . Its the next best thing to a Spa Visit. Your skin will be smooth, and there will be a luminous glow that will not go unnoticed. 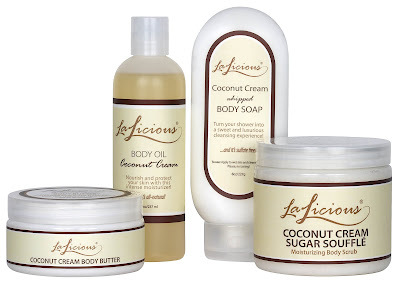 Another reason to love this line is that LaLicious is eco-friendly, Paraben and Sulfate Free !!!!! Kings & Queens NEW Queen Elizabeth Sugar Showergel & Body Butter (Available at Select Target Stores). Paying homage to the sugar addicted 15th century queen, both the Showergel and Body Butter are enriched with the Kings & Queens paraben-free ‘Royal Mix’ - a blend of Pomegranate, Blue Egyptian Lotus and Malachite extracts rich in Hazelnut, Grape, Sunflower and Avocado Oils. It is purely divine on the skin, and a real steal both retailing under $16 ! !